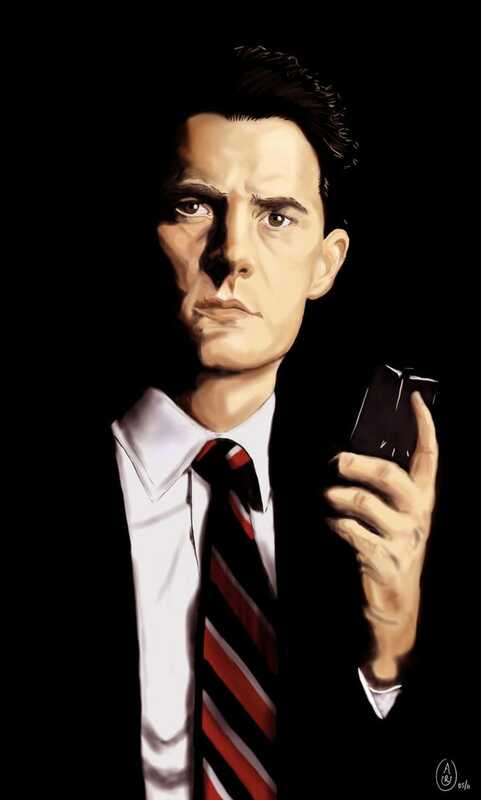 Dale Cooper. Painting by Caroline Font. Twin Peaks’s quirky-cool special agent famously upended the idea of the TV G-man. And now, after twenty-five years, Dale Cooper has resurfaced with the series’ 2017 relaunch. Though followers have studied the original shows fanatically, some might have missed Cooper’s significant nods to Buddhism. Rod Meade Sperry looks at one of pop culture’s most endearing, enduring dharma friends. A man is dying on the floor of a jail cell between two mountains of the Pacific Northwest. Not even two weeks ago, despite his middle age, he’d had a head of youthfully dark hair. Now it is completely, shockingly white. The sprinkler system of the sheriff’s department that holds him has been set off, creating the effect of a tumultuous indoor storm that rains upon the white-haired man and his captors. One of his captors—the very one who has most doggedly pursued him—is kneeling. The white-haired man has committed the kind of unthinkable crimes that would disgust and shake most of us to the core, but FBI Special Agent Dale Cooper remains fully with the moment. He holds the white-haired man, stroking his hair, comforting him even as the horrors of his crimes are finally admitted between last gasps. Then, Cooper speaks. The words come out of him naturally. O, nobly-born [so-and-so by name], the time hath now come for thee to seek the Path [in reality]. Thy breathing is about to cease. Thy guru hath set thee face to face before with the Clear Light; and now thou art about to experience in its Reality in the Bardo state, wherein all things are like the void and cloudless sky, and the naked, spotless intellect is like unto a transparent vacuum without circumference or centre. At this moment, know thou thyself, and abide in that state. Leland, though in his final moment, is surprised, almost smiling, in response to Coop’s urging that he “find the light.” “I see it!” he says. And with that, Leland Palmer is dead. It’s unusually moving; hardly your typical SVU jailhouse scene. But this is no ordinary TV jailhouse, and it’s certainly not ordinary TV. This is Twin Peaks, where nothing—not family, not FBI men, not even an owl in a tree—is as it seems. Fast-forward about twenty-four years, and you’ll find that Leland Palmer has, in fact, been reborn. All this, of course, makes Coop eminently watchable. But he’s more than that. He’s more, even, than the “top-notch lawman” that Twin Peaks’ sheriff describes him as. Coop may even be a bodhisattva. Like Lynch, Coop delights, wholeheartedly, in the odd. Like Lynch, he believes in the power of dreams and intuition. He marvels at the mysteries of the natural world, and he’s fascinated, lovingly, with human beings and what makes them tick. But it should also be said that, while Lynch is no Buddhist, he is a meditator. For some thirty-four years, he’s been a practitioner of TM, or Transcendental Meditation, which was taught by the famous/infamous Maharishi Mahesh Yogi and thrust into the public’s collective consciousness by John Lennon, George Harrison, and Paul McCartney. (Ringo Starr tolerated his bandmates’ dabblings at the time but would have preferred that they’d stayed focused on music.) So it’s not a stretch to see, as one astute friend of mine has suggested, that Coop is Lynch. It’s all a matter of, as Bill Clinton put it, what your definition of “is” is. Like Lynch, Coop delights, wholeheartedly, in the odd. Like Lynch, he believes in the power of dreams and intuition. He marvels at the mysteries of the natural world, and he’s fascinated, lovingly, with human beings and what makes them tick. As such, Twin Peaks can be argued to be a meditation on life, death, good, evil, and identity as seen through Lynch and Cooper’s shared vision. Also like Lynch, Coop meditates, as is confirmed in episode No. 28. (He reports to his never-seen assistant, Diane, that he’s been meditating in lieu of sleep, which has not been coming easily what with all the goings-on in Twin Peaks.) So he shares with Lynch an active interest in how he can better perceive reality by first looking closely at his own mind. More important, though, Agent Cooper seems to be a fine dharma friend to his colleagues at the sheriff’s department, whether any of them know it, or care, or not. Being unashamed of his intellectual and spiritual sides, it isn’t long before Cooper’s got the entire department not only tolerating his ways but also playing happily along. In an early episode (“Zen, or the Skill to Catch a Killer”), he gathers them in the woods for an experiment. 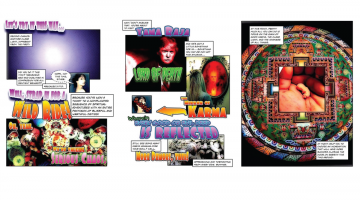 Employing a blackboard that he dragged into the great outdoors, he gives the TPSD crew a summary of his admiration for His Holiness the Dalai Lama, as well as a quick Tibetan history lesson. Then, he asks them to indulge his beliefs about “deductive technique, Tibetan method, instinct, and luck” with a session of unorthodox, dream-informed mind-storming meant to sort the wheat from the chaff in the mystery of Laura Palmer’s murder. Though initially skeptical, his colleagues warm to Coop’s unusual ways; they suspend all they know—or think they know—and instead trust and affirm their new partner in crime fighting. In a following scene, we even see Lucy Moran, the supposedly ditzy department receptionist, reading a massive hardcover book titled, simply, Tibet. Cooper connects with and inspires the people around him; the way he lives every moment as truly and deeply as he knows how. He lives in exactly this way even when his methods have clearly failed him. 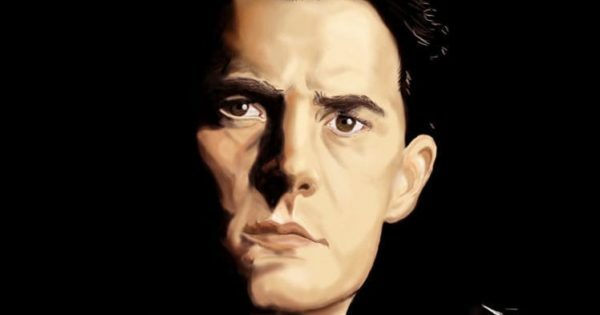 Now, Dale Cooper never declares himself to be “a Buddhist,” but that too is of no matter. What matters is the way he connects with and inspires the people around him; the way he lives every moment as truly and deeply as he knows how. He lives in exactly this way even when his methods have clearly failed him. At one point in the series (I’m doing my best to exclude spoilers here! ), Coop is, at least temporarily, stripped of his FBI badge and gun in response to what the Bureau sees as a cavalier and dangerous attitude. But the former special agent is nonplussed. While he feels that his dressing-down is the result of Washington’s being shortsighted and closed-minded, he goes with the flow even as bureaucratic justice goes unserved. He’s come to love Twin Peaks—the people, the landmarks, the unanswered questions that seem to reproduce like dandelions—and so he takes his ex-agent status as an opportunity, forgoing the G-man outfit that he wears so nattily for more region-appropriate duds. Cooper, it seems, is just as comfortable in a classic flannel shirt as he is in his old standard-issue black-jacket, white-shirt, black-necktie outfit. He even starts investigating local real estate offerings, thinking that he might just have found his home. Right where he is.